Financing Climate Change Adaptation Book Sprint finished! Yesterday was the final day of the epic dual-language Sprint in Accra, Ghana. 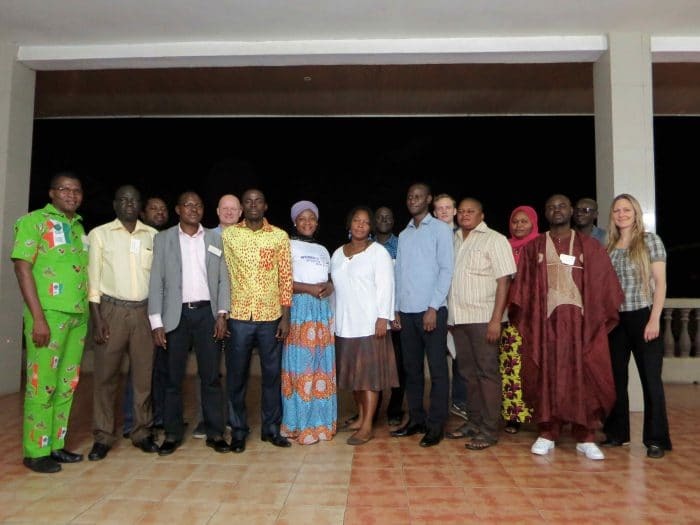 The policy paper written for civil society about how to engage the private sector in climate change adaptation initiatives was headed by IBIS Ghana, ABANTU for Development, West African Civil Society Forum and SOS Sahel. The paper is rich with case studies of business opportunities which yield profit and positive effects for communities and the environment. Examples range from a micro-insurance scheme to protect small-scale farmers in Burkina Faso against drastic weather to innovative crop storage bags which improve food security across countries in West Africa. The paper ends with a set of recommendations for civil society and the public sector to create a conducive environment for, and guide the private sector, into funding projects which seek to adapt to the changing climate and mitigate its harmful effects. We hope the paper will prove useful to the field!